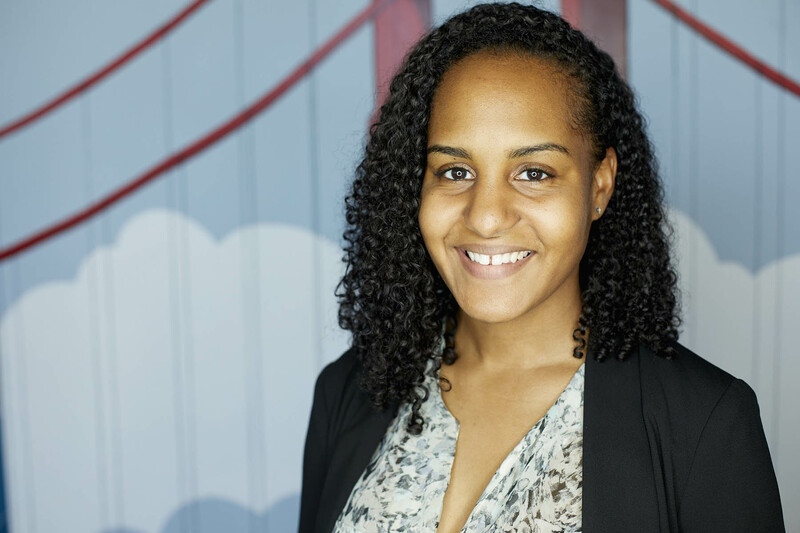 Jana Landon ’11 started her career at Google in 2010 as a Global Diversity and Inclusion intern and today manages a program that sends Google engineers to teach computer science at 10 historically black colleges and universities (HBCUs). Outside of work, Landon dedicates much of her time to public service, sitting on the advisory board for the Urban Justice Center’s Safety Net Project, speaking annually at the PowHERful Foundation Summit for young women, and fundraising for The Foundation for Leadership and Youth Travel Education. 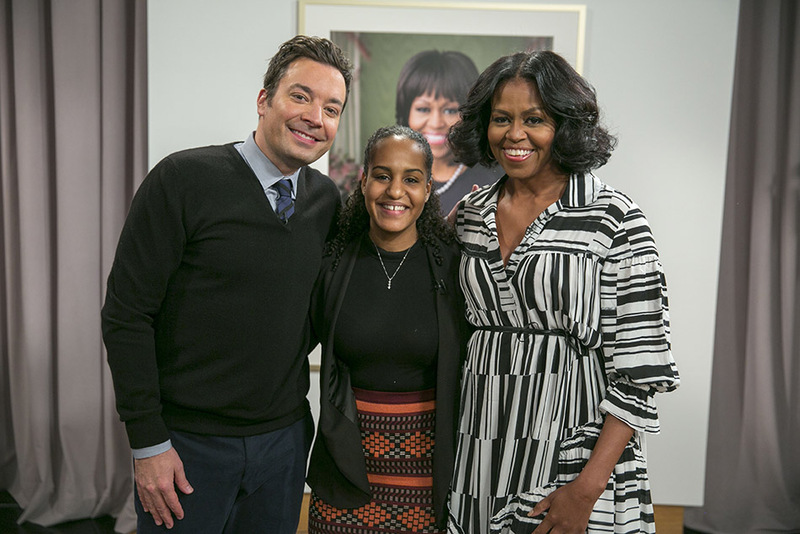 In 2017, Landon experienced the moment of a lifetime, thanking and being surprised by former First Lady Michelle Obama on Jimmy Fallon's Tonight Show. What part of your Dartmouth experience was most transformative for you? The Black Underground Theater Association (BUTA) changed my Dartmouth experience. I had enjoyed theater growing up but had to choose between drama club and sports (and sports won). My freshman fall, I acted in a production of For Colored Girls by Ntozake Shange, and I continued to participate as an actress, producer, and director nearly every quarter I was on campus. We put up plays by Black literary legends and by our fellow Dartmouth peers everywhere from the living room of Cutter Shabazz to the Bentley Theater. With the help of Dartmouth Alumni in Entertainment and Media, I secured a video from Shonda Rhimes [’91] for the 40th Anniversary of BUTA on the set of Grey’s Anatomy. She couldn’t make the event but she talked about how BUTA allowed her the first opportunity to create shows and work with characters. Then, during my senior year, as co-lead of the organization, I co-directed a production of Fences by August Wilson that went on to win the theater department’s award for artistic excellence. BUTA helped me develop my leadership on campus and it reignited my passion for the arts. I currently study and perform improv through Upright Citizens Brigade in New York City. At Google, you work on outreach with historically black colleges and universities. What’s the most rewarding part of your work? The most rewarding part of my work is being able to pay forward the opportunity to other students to start their careers in the tech industry—especially students of color. I started at Google as an intern myself. The program I work on equips students with the skills to be developers and creators of technology, and not just consumers of it. I honestly wouldn’t be here if it weren’t for HBCUs. My parents met at Howard Law School and my grandparents met at Howard as undergraduates. My dad also taught at Howard for most of my life. Serving these institutions and their students means so much to me. Okay, we know this was a year ago now, but we still really love the video of Michelle Obama surprising you on the Tonight Show. What was that experience like? I still can’t believe it happened. To be honest I blacked out in the moment, so I’m very glad it was recorded (so I can re-watch it) and that I got to say exactly how I felt before I knew she was actually there. I got to tell her exactly what her example has meant for me and how she has influenced me. I’m really proud of myself for telling her about my work and that I’m good at it. I almost left that part out for fear of sounding cocky but, then I thought about interviews she’s done where she talks about how women don’t talk about their strengths and accomplishments enough. Of course that moment was amazing for me. But then I got to share with everyone. The outpouring of support from friends, family (both biological and Dartmouth), even strangers, was unreal. Students who I’ve worked with over the years reached out and thanked me and one of my friends shared a video of her young daughter reacting to watching the clip. It was the moment of a lifetime. I fully meant it when I said that I want to work for her one day. It’s a long-term goal of mine to be involved with the education initiatives Mrs. Obama started in the White House that will expand and continue through the Obama Foundation.